E3 2018's press conferences have come and gone, and with this year's Nintendo Direct showcasing everything from Pokémon: Let's Go to Super Smash Bros. Ultimate, it was quite an exciting year for Nintendo fans. But there was one game missing from E3 2018's roster that Switch owners have been begging for: Nintendo's immensely popular life simulator Animal Crossing, was nowhere to be seen for the Switch. Spin-offs aside, it's been a long time since the Animal Crossing community received a dedicated release. The last game in the main series, Animal Crossing: New Leaf for Nintendo 3DS, came to the U.S. in 2013. In that title, players run their village as a mayor, setting ordinances, attending town events, and building new Public Works Projects like bridges, police stations, and fountains. New Leaf went on to sell 11.69 million copies worldwide, making it the seventh most popular game in the 3DS' history. But New Leaf didn't just come with new gameplay, it took advantage of the Nintendo 3DS' handheld capabilities to its fullest extent. Compared to the Nintendo DS, the 3DS features a higher resolution, improved graphics, better processing capabilities, and an affordable price perfect for on-the-go gaming. New Leaf looked incredible in 2013, and the game featured a seamless map system that made the in-game world feel more immersive. In the console's heyday, it was common to see high school kids, college students, and 20-something commuters alike with their Nintendo 3DS out playing Animal Crossing on their way to school or work. Nintendo has long praised the Nintendo Switch as the perfect hybrid between TV consoles and handheld devices like the 3DS. And it's easy to imagine Animal Crossing on the Switch. 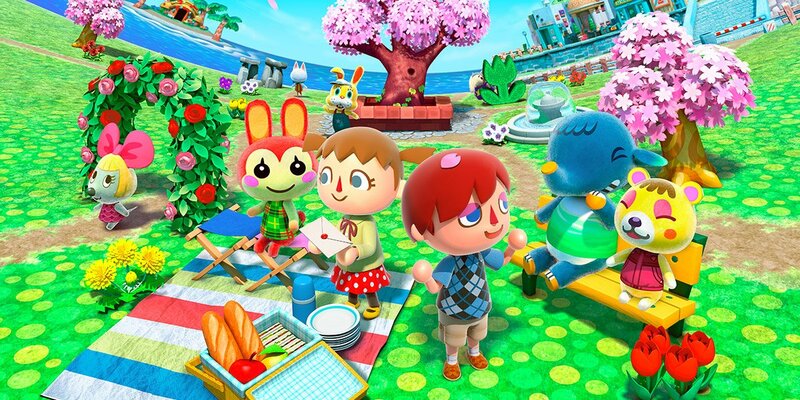 Players could plant a few trees near their house, sell some items to Tom Nook, and draw some new outfit designs with Mabel and Sable, all while taking a bus to work or hanging out in their local coffee shop. Not to mention, the Switch's social capabilities jive well with Animal Crossing as a franchise. Nintendo developers could easily design features that let players share their villages with one another in real life, like letting two players visit one another by directly connecting to each other's Switches, or passing along amiibos to visit new towns. But for some reason, Nintendo decided to deprioritize Animal Crossing on Nintendo Switch this year. Instead of receiving any hints or teasers suggesting that Nintendo is eager to bring the series over to their latest console, the company relied on mainstays like Pokémon, Mario Party, Donkey Kong, and Super Smash Bros. to advertise its one-year-old device. Even Epic Games' runaway hit Fortnite made an appearance, announcing that the battle royale title would be available for Nintendo Switch mere hours after the Nintendo Direct. Meanwhile, this year's showcase brushed pass discussing any news about the company's upcoming Metroid title Metroid Prime 4 or its core Pokémon game for 2019. Perhaps Nintendo is still insecure about the Nintendo Switch's popularity, and so the company stuck to the hottest and biggest titles it could focus on in order to grab gamers' attention. But Animal Crossing is the kind of video game that a console like the Nintendo Switch needs right now. Like Stardew Valley, one of the Nintendo Switch's best-selling games, Animal Crossing is a soothing and relaxing game where players can clock in time, hop out, and then pick up from where they left off just a few hours later. The multiplayer possibilities with the Switch are limitless, and a series like Animal Crossing could introduce gamers—and developers—to the Switch's potential for sandbox games where the point of play is play itself, and not winning or losing a competition. And fans want a new Animal Crossing, too. 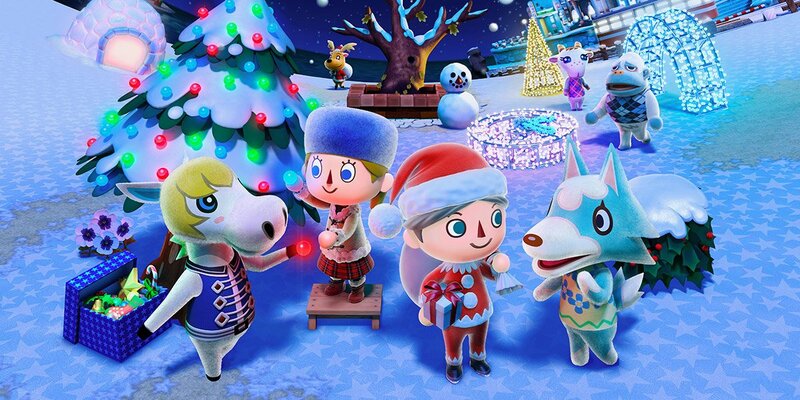 When Nintendo unveiled its iOS and Android spin-off title Animal Crossing: Pocket Camp, it quickly became a top-downloaded hit in both Japan and the United States, raking in $17 million worldwide in December alone amid 22 million downloads. Build a new game, and gamers will play it in droves. Over the past year, Nintendo has gradually expanded the Nintendo Switch's catalog with action titles, adventure games, and first-person shooters intended for a more mature audience, like L.A. Noire, The Binding of Isaac, Doom, and Wolfenstein II. But as Nintendo continues courting third-party developers, it shouldn't forget its fans' favorite series in the mix. For many, Animal Crossing represents the wholesome, light-hearted, and fantastical whimsy that made so many people Nintendo fans when they were kids. And whether Nintendo is ready to admit it or not, its console needs to look to the past as well as the future to succeed, and that means bringing back some of its most iconic franchises. It's time for a game like Animal Crossing to return. So give the fans what they want, Nintendo. After all, a five-year wait is five too many.